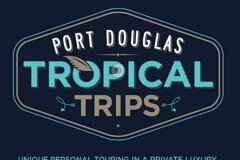 Port Douglas is home to beautiful beaches and a magnificent rainforest so naturally there is an abundance of tour operators eager to show you around! 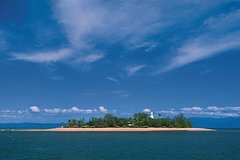 You can choose to discover the coral gardens and islands of the Great Barrier Reef or stay on land and visit the Daintree Rainforest where you can get back to nature and discover Australian wildlife. You can choose to take a hot balloon ride to get a bird’s eye view of the beach and forest, or hop on a bus to get a good look at street level. 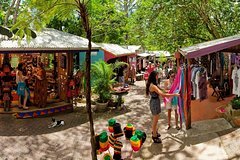 We’ve included a list of tour operators below who will help find a tour to suit your needs. 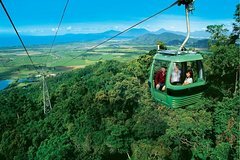 Browse through the list of Port Douglas activities below and book your tour online! 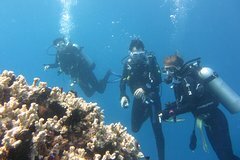 A high quality, personalised scuba diving trip from start to finish. Feel the pleasure and security of diving with highly experienced local instructors; while using our superb equipment. 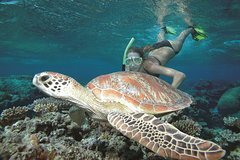 Our unrivalled knowledge, expertise, and small group sizes; combined with access to some of the finest areas on the Great Barrier Reef, will ensure you have an experience second-to-none. Snorkel the coral gardens with or without a guide, walk around the island and join a glass bottom boat tour. Sail to the Great Barrier Reef’s Low Isles during a relaxing, afternoon cruise aboard a luxury catamaran. Moor at a secluded island with pristine white-sand beaches where you can admire colorful fish, coral and sea turtles while snorkeling or taking an included glass-bottom boat tour. You even get to catch the sunset during the return to Port Douglas. This premium reef experience is limited to a smaller group of up to 33 adult passengers. Refreshments and afternoon tea are included, along with all snorkeling gear plus hotel pickup and drop-off. 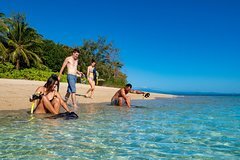 Venture off the beaten track and explore the diverse Port Douglas region with Blue Adventures. Our tours have an emphasis on seeing wildlife and we spend time exploring World Heritage rainforest, cruising on a rainforest fringed volcanic crater lake and taking relaxing nature walks in some stunningly beautiful locations - all areas rich in native Australian animals. 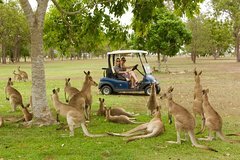 On tour we regularly see wild animals including kangaroos, platypus emus, wallabies, tree kangaroos, lizards and prolific birdlife. * Please note that we require a minimum of 2 passengers to confirm a small-group wildlife and rainforest tour. If we do not meet minimum numbers we will contact you to discuss alternative dates or other our options.